The Lynn and Erin Compassionate Use Act of 2007 made it legal to dispense medical cannabis in New Mexico for debilitating medical conditions. These 10 dispensaries have a wide selection of products for varied medical treatments, helpful budtenders, and provide compassionate care. Patient well-being is this dispensary’s number one focus. 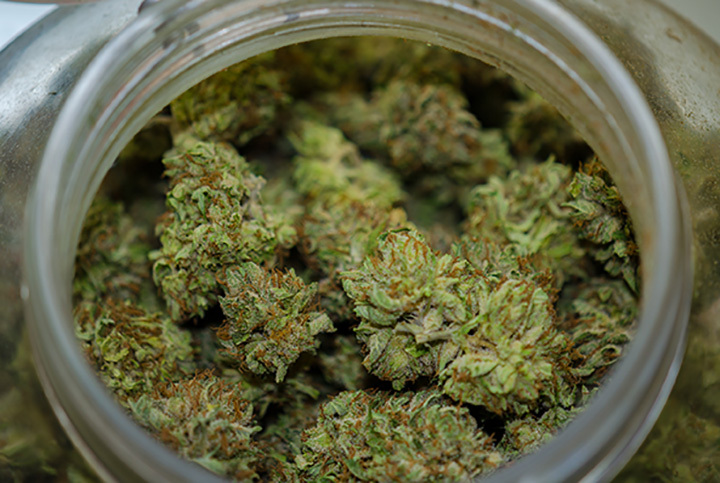 Knowledgeable budtenders take time with customers, providing information on ingestion, health and safety regulations for edible storage and good bud handling techniques. Board certified MDs are on-site and regular consultations are available on dosages and titration guides. Classes also offered on everything from yoga to cooking. This full service dispensary for patients with a current state medical cannabis ID card provides 100 percent organic medical cannabis. All products are grown indoors and no chemicals or pesticides are used during the growing process. Patients will find strains, edibles, concentrates, and accessories. Home delivery available. You’ll find everything from concentrates and cartridges to cookies and gummies here. The staff is focused on helping patients achieve a better quality of life through cannabis education. Other products include CBD oil, pre-rolls, concentrates, vape pens, and kief, those sticky crystals on the flower. The menu changes regularly showcasing new products. A portion of all proceeds are donated to local veteran charities. Whether you smoke marijuana, take it in a pill, use it topically, vape, drink it or cook it into something edible, you’ll find all options at this high quality medical cannabis dispensary. The focus is on providing the best medicine for relief of patient symptoms. Budtenders are knowledgeable, prices are reasonable and selection of products is varied. More than 25 different strains including sativas, indicas, and hybrids, plus salves and edibles are available at this dispensary. Also on hand are cannabis-based medicines and CBD oils, vape pens, and concentrates. First-time patients receive a one-one-one, personalized experience and assistance with navigating how to access the medical marijuana process. As growers, the commitment is to provide the highest quality cannabis using industry best standards. They use 100 percent organic nutrients, natural soils and reliable cultivation and harvest techniques. Varieties on hand include sativas, indicas, and hybrids. Tinctures, cannasalve, moisturizers, cookies, chocolate bars, gummie fish and hard candies round out the available products. The county’s only medical cannabis dispensary provides quality, clean cannabis grown pesticide free. Focus here is on promoting a chemically free body and hygiene products for a healthier lifestyle. Budder Pros chocolate tops the list of favorites for edibles. A Canna Salve made with White Russian Flower and Cibaderm Hemp CBD are popular topicals. Pick up a patient packet with all forms needed for enrollment. Alternative life-saving medicine is showcased here with innovative cannabis products that have tested medicinal benefits. Dried cannabis flower buds, edibles and concentrates such as wax, shatter and live resin are available as well as pre-rolled cones, vape pens, tinctures, lotions, salves and infused products. It’s a one-stop shop for all medical cannabis needs with a commitment to natureceuticals and sustainable growing practices. Christmas cookies, super lemon OG, ghost train haze, cookies ’n cream, and Pecos River sage are just a few on the varieties grown by this medical dispensary. All is organically cultivated in commercial greenhouses both hydroponically and in soil. Must be a member to place an order; register by email or online. Delivery and pick-up are available. Serving patients’ needs is the highest priority. With a 35,000-square-foot growing facility, this is the largest state-of-the-art, light-deprived, temperature controlled greenhouse in the state. Nestled in the beautiful Taos foothills, the plants are constantly monitored to provide 100 percent patient satisfaction. Pre-rolls, Bhang chocolates, rock candy, topicals and, of course, sativa, indica and hybrids available. Daily specials of as much as 15 percent off certain products and special promotions on edibles on Tasty Tuesday.